Mo Versi has announced on Twitter that Android 5.0 Lollipop would start rolling out to T-Mobile HTC One M8 owners on Monday. Mo Versi is the VP of Product Management over at HTC and most of the Lollipop news regarding HTC flagships comes from this gentleman. This morning, Mo Versi tweeted that T-Mobile HTC One M8 owners should prepare themselves for the imminent rollout of Android 5.0 Lollipop on Monday as the Technical Approval was received. Android 5.0 Lollipop brings a revamped Sense 6.0 and the whole sweet treatment complete with Material Design to the HTC One M8. The rollout started at Sprint, too this week, and even some HTC One M7 units started getting the update on Sprint. HTC is among the first OEMs to roll out Android 5.0 Lollipop to their devices, right next to LG and Motorola. The HTC One M8 owners in the U.S. have been waiting a long time to see their carrier-branded units updated, and the rollout is finally moving along. T-Mobile and Sprint seem to be the fastest carriers to take on Lollipop, but Verizon and AT&T shouldn’t be too far behind. 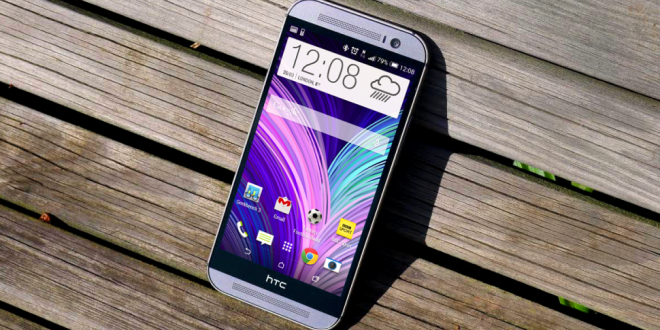 The HTC One M8 is one of the best regarded flagships of last year. Its metal chassis, BoomSound speakers, great battery life and performance, as well as the neat Sense UI on top make the HTC One M8 one of the most desirable flagships of the past year. The HTC One M9 is also hyped as it should make an appearance at the MWC 2015, alongside HTC’s new Sense 7.0 UI. Once Sense 7.0 UI is launched, HTC One M8 owners will be hoping for yet another update, as there are high expectations about the new UI. Consequently, T-Mobile HTC One M8 owners should check their software updates on Monday to see if the OTA update is showing up on their phones. Make sure to start the update installation with a fully charged battery, as it will require a good amount of power and if your phone is not charged, you might end up with a botched install. At the same time, always remember to back up your data, as a botched install will result in data loss. Needless to say, you’d better have a Wi-Fi connection at hand, unless you want to blow up your phone bill.